When you first hear this name, you'd be forgiven for raising an eye-brow! It’s a homely, english name to be linked with the heights of Catholic mysticism. Yet Teresa’s spiritual director said that he believed she was 'one of the greatest saints that God had raised up in his Church'. She certainly led an extraordinary life from a mystical point of view, similar in many respects to the famous capuchin saint Padre Pio. And the message she brought is quite possibly indispensable for our modern world. It is a century since her death and she seems to have faded from view to some degree. There was a time when she was very well known. A Mary Cahill wrote in the Tablet of 8th Jan 1938: ‘By means of articles, lectures and meetings, teachers all over the country have been invited to take up the cause of Teresa Higginson’. 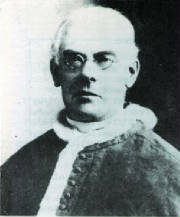 Another letter from Monsignor O’Brien (the vice-postulator for her cause) tells us that he had received letters bearing witness to her sanctity and petitioning for her beatification from all parts of Great Britain and Ireland, France, Germany, Italy, Holland, Belgium, Malta, U.S.A., Canada, West Indies, Brazil, India, China, Burma, Borneo, South Africa, Uganda and New Zealand. Today her memory is kept alive in fewer places. Yet perhaps as with the case of Faustina Kowalska of the Divine Mercy, her cause has been delayed for the appropriate time when her name would be universally known and honoured. Many believe that time is now. This website hopes to provide the compelling reasons to justify such an assertion. There have been several books published on Teresa, but the most authoritative source is the life written by Lady Cecil Kerr. She begins by telling us about Teresa’s family background. Her father, Robert Higginson, was educated at Stonyhurst College and became an agent to the Estate of Lord Dillon in Roscommon, Ireland. Whilst staying in Dublin, he was taken to a Ball where he met Mary Bowness. She had become a Catholic after a visit to Rome, but had been totally ostracised by her family as a result. The romantic story behind it all attracted Robert. They married and moved back to Gainsborough in England. Robert found employment in charge of the canals. Whilst pregnant with her third child Mary became ill and made a pilgrimage to the shrine of St Winefride in Holywell, North Wales to pray for healing. It was here, on 27th May 1844, that Teresa was born. Only 15 years had elapsed since the Catholic Emancipation Act; places of public worship for Catholics were still few and far between. The Higginsons’ home became the Catholic centre in the neighbourhood. It had a small oratory where Mass could be celebrated and many priests stayed there. One of the frequent visitors was Blessed Dominic Barberi (right, now famous for receiving Blessed John Henry Newman into the church). He baptised Teresa’s sister Louisa who was three years younger and must have known Teresa well. Fr Ignatius Spencer (ancestral relation of Prince William) was another friend of the family and nicknamed Teresa his ‘little apostle’ for the way she tried to spread his league for the conversion of England. The only real source of her early days is her own, written under obedience to her spiritual director. She had five sisters and three brothers and appeared to be the ringleader with quite a dominant personality. She often managed to get her way with her parents on an issue if she thought it worthwhile, through sheer strength of will. She was educated by governesses, but her parents made sure she was trained in all the Church’s seasons and feasts. They were careful to teach love for the poor: every day the first helping of food was set aside for the next homeless person who called. If no one came by the evening, her parents would say ‘we’ve had no visit from Our Lord today’. One particular spiritual practice that Mary Higginson taught her children was the Presence of God; to imagine Jesus always at their side. Teresa firmly believed this was a powerful influence for good in her life. When she was four Teresa remembered offering herself to the Holy Trinity. It was the feast of the Presentation of Our Lady (November 21st) and she had heard how Mary had presented herself to God in the Temple. She decided to do the same thing and went quietly into their oratory to make her own act of offering to God. She felt that He accepted her offering, and gave her some level of understanding of the Trinity. She also remembers her first sin. Teresa and her family had been out for a walk. When they got back, her mother called out to her to hang up her hat, but she pretended not to hear. This almost unnoticeable act of disobedience somehow impressed on her an intense horror of sin. Rather incredibly, her spiritual directors later stated that they really believed this was the only confessional matter of her whole life. From her childhood onwards, she felt a deep longing to share in Jesus’ suffering and had a sort of burning love for him that was hard to assuage. This expressed itself in personal mortifications that can seem shockingly severe and inhuman to us (although in the context of the lives of other famous mystics, these things appear to be almost commonplace). Teresa later recognised that some of these self-inflicted penances were imprudent. But she also noticed that when she was nursed during illness, marks left on her body would escape notice; she took this to be some form of acceptance and protection from Jesus. Above all, she always practised impressive self-discipline, resolving to ignore all her personal likes and dislikes, and to deny any satisfying of the senses. When she was ten, she was sent to the convent school in Nottingham with two of her sisters, under the advice of Bishop Roskell. She was very homesick at first, but settled in and was to remain there for eleven years. There were no outward signs of saintliness. In fact Teresa describes herself as a wild-spirited tomboy. Nevertheless she gives various anecdotes of her school-life which do reveal an interior heroism and generosity. There were times when she felt in complete darkness and dryness in her spiritual life – even a sort of repulsion for religious things – but she would only spend longer times in prayer during these periods. Possibly as a result of illness, she made her First Holy Communion quite late, at the age of 12. She records feeling no noticeable spiritual consolation whatsoever. Before leaving the convent, at the age of 21, she went to visit Fr Ignatius Spencer for advice as to whether she should become a nun. As soon as he saw her, he immediately said a Glory be aloud and thanked God that she had come to see him. He told her that she did not have a vocation to be a nun, though she would later live in a convent, but that she should work as a teacher. He assured her that God had special designs on her – that she must be very faithful and open to her confessor and that if lost her damnation would be awful. He also warned her about making friends; Our Lord would send these when necessary. About this time her father lost all his money on some disastrous cotton dealings. Teresa had to go from shop to shop looking for sewing to do and they often made fun of her. Gradually, however, the family’s position improved. In 1871 a smallpox and cholera epidemic broke out. The area of Liverpool was particularly affected and the parish priest of Bootle, Fr Edward Powell (left), had to apply to Notre Dame teacher training college for a new teacher in his school. It had none to spare, but recommended the sister of one of its past students who had an amazing influence on children. This was Teresa. She leapt at the chance of going to Bootle, heroically conscious of the health risk, and stayed for over a year. She was able to become a daily Communicant (uncommon in those days). Fr Powell saw that she was an excellent catechist and encouraged her to acquire a teaching certificate which she was very promptly awarded. "She appeared about thirty years of age (though I have since learnt that she was much younger than she looked). She was about five foot two inches in height, her body seemed much emaciated though her face was not too thin. She had what people here call a wizen face, i.e., shrivelled and sallow. Her hair was dark, eyes also dark, small, very quick and bright, her general expression very pleasing; in conversation she was animated, witty and humorous. Her movements were quick and sprightly and she seemed always on the alert and entered heart and soul into everything she took in hand. Her dress was often odd. She never cared whether her clothes were in taste or ill-fitting, in fact never seemed to have a new costume and as she had literally no regard for money I came to the conclusion that her clothes were simply her sisters’ cast off clothing, and that she squandered her salary in buying books and objects of piety for others and in charity, so that she never had the wherewithal to buy a decent outfit. Such was Miss Higginson as I remember her. . . . From the first day I met her until we parted I could never find fault with her in any way. She was never cross-looking or out of humour and her pupils idolised her. She seemed to live in the presence of God and always introduced some religious topic into the conversation without boring one with an overdose of piety, or seeming to preach." It was about this time that people noticed strange and supernatural things about her. She would fall into periods of apparent unconsciousness: ecstasies. She seemed to survive on the Blessed Sacrament alone for up to three days at a time. A fellow teacher who became a very supportive friend, Susan Ryland, recorded some of the occurrences that took place. One night she came from Church where she had been doing the altar, etc., bringing with her a duster or so to wash. There was no common soap in the house. I suppose we had forgotten it. She asked me had we nothing but the good soap and when I said no, she remarked it was against holy poverty to use that for dusters. I turned away but happened to turn back just in time to see a pound of common soap on the table and Teresa stretching out her hand to take it, as it was nearer to where I was standing than to her. I am not sure but I think she laid down the money necessary to pay for it. I am quite certain there was no soap on the table when I turned away. Another time I had forgotten, or did not notice, that there was no wood in the house. In the morning I wanted to light the fire. Teresa was in bed. I went in to her and said: 'We have no wood and I want to light the fire.' She said: 'There is plenty in the sacristy.' But I said: 'The Church is not open yet.' 'Very well,' she said, 'ask St Joseph for some.' I said: 'You ask him, he won't do it for me.' Then she said: 'Have you been to such a cupboard?' I said: 'Yes, and there is none there.' 'Well, go and look again.' I went and found a quantity of nice pieces not like the wood we bought. There are many other such stories, including anecdotes from her brother and sisters. She began to suffer mystically during Lent. Fr Thomas Wells, her parish priest, was a holy and zealous man and he took her seriously. He contacted a moral theology lecturer at Ushaw College for advice and consequently began to impose trials and humiliations to test her. Just as with the Curé of Ars and Padre Pio, the devil became very active, shaking furniture and howling at night or mimicking the crying of children in the locked-up school, throwing objects or even spitting things on Teresa. She revealed later that she was often put through strong temptations against various virtues. On the Friday before Holy Week 1874, in the midst of terrible suffering, she was endowed with the stigmata. Several of her friends and those who nursed her testify to having seen wounds on her hands and feet and thorn-marks on her forehead. It all troubled her humility. She repeatedly begged Jesus to remove the marks but increase the pain. During her last illness her nurse saw no wounds. Her spiritual director, Fr Powell, the only one to whom she revealed her soul at this time, recognised the suffering that was to prepare her for the mystical espousal. According to some letters she wrote to him, Our Lord gave her this grace on the feast of the Sacred Heart 1879. The Espousal or Spiritual Betrothal is a stage in the ascent towards union with God recognised by St Teresa of Avila and St John of the Cross. It is now believed that it was in 1874 or 1875, that she first experienced Christ’s desire that his Sacred Head be worshipped as the Seat of Divine Wisdom. Two letters from Margaret Ashworth, nee Woodward, (a teacher friend) in 1933 recount how she believed she was the first to hear Teresa speak of our Lord's desire for the devotion - as she came out of church on Good Friday. 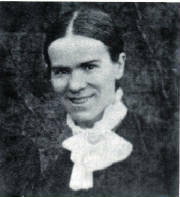 In July 1875, her friend and support Susan Ryland left Wigan and a few years later entered the Sisters of Charity. Fr Wells was continuing to inflict trials on Teresa, but (as in the lives of other mystics) he seemed to go too far. Teresa became ill. She resigned in Christmas 1875 and her parents made her return home to recover her health. She was sent an exemplary testimonial from Fr Wells. "My recollections of her are most vivid. She was sweet and gentle and quite homely, so much so that the younger members of the family usually found their way to her and they would crowd around her while she told them stories or sang hymns, sometimes amusing the babies by making her Child of Mary medal whistle. Her attitude at prayer specially struck me: she knelt motionless, her eyes fixed on the tabernacle. If ever I chanced to go to Mass alone I invariably knelt where I could see her instead of going to our own bench in Church. On one occasion she got permission to take myself and my eldest cousin to Mass at Sabden. She entertained us the whole day showing us her school, etc. I well remember the caretaker of the school chapel, a woman, saying she spent the whole of every Thursday night before the Blessed Sacrament and that she had seen drops of blood upon her forehead on the Friday. The children, too she said, saw it, and had become quite used to the sight." Unfortunately for her there was no daily Mass in Sabden and Teresa experienced extraordinary deprivation upon not being able to receive daily Communion. Our Lord made supernatural provision for her and she began to receive mystical Communions, sometimes three or four times a day. This occurrence was witnessed by several people throughout her life; they would suddenly become aware of a host materialising out of the air and alighting on her tongue. 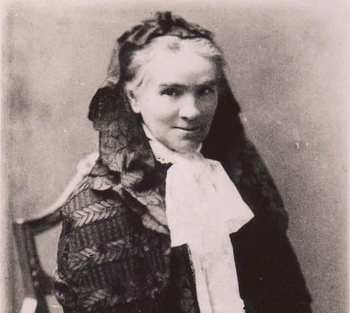 "I have much pleasure in saying that Miss Higginson, during the eighteen months she had charge of our school at Sabden, gave every satisfaction, both to the children and to their parents. She was most devoted to her work and has a special talent for attracting children to her school. She left Sabden on account of illness." After regaining her health, she soon started to yearn for work once more, and to be able to get to daily Mass. She contacted Fr Powell for his advice and he in return requested her, under obedience, to write out for him the history of her hidden interior life. In all about 125 letters were written, from June 1879 to 1881. It was also about this time that Jesus began to show her a beautiful and very faithful soul living in her parish, ‘one of the centrepieces of his Sacred Heart’. She seem to feel both humbled and consoled by it. Both Fr Powell and her later director Fr Snow realised that this soul was in fact Teresa herself! In autumn of 1879, Fr Powell offered her a post in his own school of St Alexander’s, Bootle. 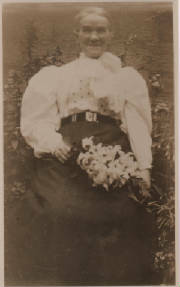 She began work on 1st October and lodged with a widow, Mrs Nicholson, and her 14 year-old daughter Ellen, above a shop. Ellen noticed several strange things, but because she had only recently become a Catholic, she thought they were normal! Teresa’s contemporaries describe her as impressively calm, with a retiring disposition, but also a great strength of will and self-control. She was never excited or over-emotional, but utterly sane. She suffered from strange attacks of weakness and would often be found prostrate in the mornings. After receiving Holy Communion, she regained her strength. Despite her best efforts, her mystical wounds were noticed and upon returning home for the summer holidays, her family became alarmed at her ‘fainting fits’ (ecstasies). In her letters to Fr Powell, Teresa saw these things as means for increasing her humility. In 1883, Mrs Nicholson died and Teresa went to lodge in Ariel Street with some fellow teachers. They became very aware of the devil’s attacks. They would be woken up at night by violent crashes, unearthly shrieks, laughing and other occurrences. Fr Powell was quite aware of the situation and told them not to be afraid as the devil could do no harm to them. "If all the information I have received is correct… she presents a case of extraordinary love of God and zeal for the salvation of souls, profound humility, unhesitating obedience, love of mortification and suffering only to be paralleled by some of the greatest saints. This seems to date from her infancy. If all this is true we should not be surprised if Our Lord bestowed upon her some of the favours which He usually bestows on such souls." Fr Hall O.S.B. also undertook a careful investigation of her writings and at first seemed very well disposed to her. Nevertheless he completely changed his mind, possibly after reading about her bilocations which he could not accept and he became hostile to her cause, claiming all to be the fruits of an over-active imagination. Consequently, the bishop requested Teresa to change her spiritual director, stating "if it is the work of God it will prosper in spite of opposition." Teresa obeyed wholeheartedly, although it must have been profoundly painful, as she believed Fr Powell was the only one who really understood her. Fr Alfred Snow (later Canon Snow - left) who took over was to direct her for the last 22 years of her life. He turned out to be a Godsend for her, since he showed tremendous solicitude to her, both temporally and spiritually, and undertook an in-depth study of mystical theology. About this time rumours began to circulate about Teresa: that she was a fraud and in fact underneath it all a thoroughly vile and evil sort of person. Many who knew her were taken in by the rumours. Some said that despite her fasting they had seen her gorging herself greedily and loitering in a drunken state in dark alleyways. 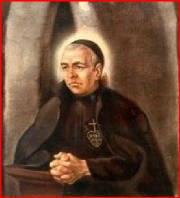 Fr Powell interpreted this time as the "clamour of tongues", a recognised state of purification in the spiritual life. He himself was moved to another parish and his successor maltreated Teresa, refusing to bring her Holy Communion and reacting in quite violent ways towards her. Things seemed to reach a climax and her friends moved her to another parish where she could be at peace until the added mystical sufferings of Lent 1886 were over. She then returned home only to be told she was not wanted back in Bootle. Teresa started working in a parish mission in Eccleshall in Birmingham diocese, but this shortly closed down so she found further work near Blackburn. Under the instigation of two of her most loyal friends, Fr Snow asked her to join them at their school in Newchurch. She arrived there on March 24th 1887 and suffered the worst Lent she had yet experienced; she was totally bed-bound. 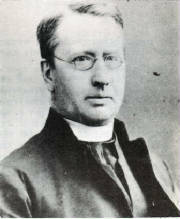 The priest, Fr Musseley, believed in her and both he and his housekeeper, Margaret Murphy, befriended and supported her. They described her as a very happy, jolly sort of person, who amongst other things enjoyed cooking tasty meals for other people. At the end of July she went to say with another friend, Elizabeth Dawson, in Clitheroe. Here she could attend Mass twice a day and visit the Blessed Sacrament whenever she wanted. Fr Musseley wrote to her asking her to take up an official post at Newchurch school, which Teresa accepted despite the fact that she would not be able to attend Mass even on Sundays. This was no insignificant acceptance; it gave her great pain. Her director later recognised it as the ‘purification of spiritual desires’. In the event, however, Teresa was not needed and she stayed on at Clitheroe. It was at this time that she wrote two letters to Fr Powell and Fr Snow humbly describing an important occurrence. On the night of the 23rd of October 1887 Our Lord revealed to her that He was uniting her will to his in the presence of the whole court of heaven. Fr Snow later wrote of the spiritual marriage: "Although it is the highest state of union a soul can attain in this life, still God is able to communicate Himself more and more to the soul and the soul can more and more advance in holiness and merit." Teresa was to live for over 17 years afterwards. Her life, however, became commonplace; the outward signs of the supernatural seemed to vanish. Fr Snow wrote to his sister who was Mother Superior of the Sisters of Mercy at St Catherine’s Convent, Edinburgh. He explained Teresa’s status and asked for her to be able to come and live quietly among them with no questions asked. She went on to live there for twelve years (fulfilling Fr Ignatius' prophecy), helping out in the local schools and parish missions of Dalkeith, Linlithgow and Selkirk but remaining very unobtrusive. She continued to suffer, especially during Lent. Many came to recognise her sanctity in the midst of her outwardly humdrum existence. In July 1899, Teresa returned home to Neston. Later Fr Snow asked her to come and help attend to the sick sister of the headmistress of his own school. Apparently Teresa was a very lively nurse, often singing and performing comical dances for her patient. In September 1900, an Edinburgh friend, Mrs Fleck, took Teresa on pilgrimage to Italy where she met Pope Leo XIII in audience and visited many holy places. In 1903 Miss Garnett died and Teresa (aged 59 now) decided to look for a teaching post once more. Eventually she was put in touch with the chaplain to Lord Clifford’s estate in Chudleigh in Devon. The school had been set up for teachers of the workers. It was extremely remote, but Teresa seemed irresistibly drawn to it. She set off in January 1904 and arrived in the pouring rain. The schoolhouse (right) was rundown, damp and infested with rats. The Church (left) was over a mile away. Teresa battled on despite enormous difficulties. She soon began to influence the school children for the better and gradually her living conditions improved. 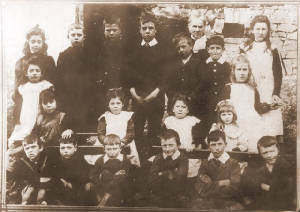 (You can see Teresa here standing behind the schoolchildren). "Do not fear, dear child, but put your hand with loving confidence into your Father’s hand and He will guide you through every path. And where the road is rough and stony, He will carry you in His arms." Shortly after this she fell into a coma. Six days later on 15th February 1905, after several hours of apparent torment, she died. 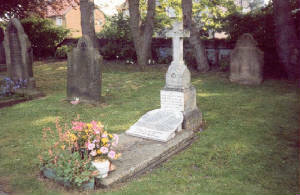 She was buried at her family’s home in Neston. Teresa’s Cause for canonisation was taken to Rome in 1937. On 21st February 1938 Monsignor O’Brien the vice-postulator was sent a letter from the Secretary of the Congregation informing that the Holy Office had pronounced the Non Expedire on the introduction of her Cause. The Non Expedire was a kind of ‘shelving’. It has been suggested that perhaps this was Teresa’s emphasis on the public honour due to Our Lord’s Sacred Head that had had its part to play in shelving her Cause; there had been several appeals for devotions to different parts of Our Lord’s body at the time.Rome could have reacted against it. However, a letter from the Vatican in February 1949 confirmed that there was no insurmountable obstacle to the Cause. Professor Paul Haffner has recently visited the offices of the Congregation of the Causes of Saints in Rome; her Cause is still 'on the books' - awaiting its time. A miracle attributed to her intercession could kickstart the cause once more. Photocopies of many of Teresa's letters and other papers (6,000 in total) have been collated and bound into 12 volumes which are in the public domain. Her prayers are being requested all over the world. Many testify to favours granted. In his letter for the new millennium (Novo Millennio Ineunte), Bl Pope John Paul II emphasised the importance of holiness of life for the New Evangelisation. In Teresa we have a marvellous example of holiness. In the midst of a very ordinary life, she witnesses to the supernatural reality of our faith through prayer, sacrament and a most wise love. As a single laywoman living in the world, she has an obviously contemporary appeal. As a schoolteacher, she is a powerful patron for the teaching profession in these difficult days. With her links to England, Scotland and Wales, she could surely prove a new patron for us all in these lands. Yet above and beyond the importance of her holiness is that of her God-given mission. Even the atheists and agnostics of our day are conceding the signs of crisis in society. They have demonstrated admirably that they do not have an answer. It seems clear that after so many years of abeyance, Teresa's time has come. Her mission is to lead us back to God and to a bright and noble future founded on a deeper appreciation of the wisdom of Christ. It is now up to the laity to act and in so doing convince the Holy Father of universal devotion to Teresa and to the Sacred Head of Our Lord.